A Winterfest Dinner and Concert will be held from 5:30 to 8:30 p.m. Monday, Dec. 1, in The Pavilion at the Industry Hills Expo Center. The fundraiser helps raise money for the Elementary Instrumental Music Program in the Rowland Unified School District. Enjoy a great evening of music and food, with entertainment by Al Politano and Laura Tovar, along with the district’s String Orchestra. The cost is $25 per person. To purchase tickets at the Rowland District Office, call the Elementary Division at (626) 854-8348. Need some basic computer help? Make an appointment with a librarian for some one-on-one training on a topic of your choice, such as word processing or creating an e-mail account, at the Hacienda Heights Library. A small lesson on how to use iBistro will also be included. Four appointment slots will be available weekly (two morning slots and two evening slots) every Wednesday and Thursday through Dec. 18. For an appointment, sign up at the information desk. The library is at 16010 La Monde St. For information, call Karen Noyes or Ryan Ricchio at (626) 968-9356. The Friends of the Hacienda Heights Library will hold a book sale in the lobby through the end of the year. Books will be on sale whenever the library is open at 16010 La Monde St. For more information, call (626) 968-9356. 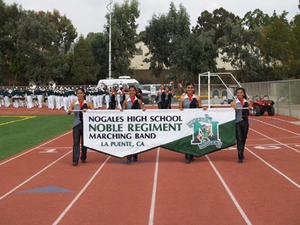 Don’t forget to tune-in tomorrow to cheer on the Nogales High School Noble Regiment Band, one of only 10 bands in the nation selected to perform in one of TV’s most viewed events, the NBC telecast of the Macy’s Thanksgiving Day Parade. Led by Band Director Brad Pollock, the 140 students will represent the West Coast as they perform “Mambo” from West Side Story. The telecast will air from 9 a.m. to noon. The Nobles have practiced the equivalent of 7,500 hours or more than 312 days straight for this once-in-a-lifetime opportunity. One of the biggest hurtles was the fundraising challenge of $240,000 for the event — $1,700 per student. The cost to transport cross country by semi-truck the more than 1,000 instruments, 140 uniforms, 2 ATV vehicles and miscellaneous supplies alone was $50,000! Nogales High School is part of the Rowland Unified School District. To make a donation to the Nogales Noble Regiment Band, please send to the Nogales Noble Regiment Boosters (a 501(c) (3) not-for-profit organization) at Box 2158, Walnut, CA 91789 or contact Bee Corona at Bee@nogalesnobleregimentboosters.com or call the school at (626) 854-8520 ext. 3661. Rorimer students will celebrate their reading success by tossing pies at Principal Audrey Hicks at 1 p.m. Tuesday. The La Puente students were challenged to read over 14,000 books collectively by Principal Audrey Hicks and Vice Principal Marianne O’Quinn. The reward? Throwing a pie in their faces! 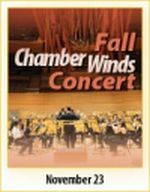 Enjoy an elegant Sunday afternoon of top-flight musicianship that pushes the boundaries of the traditional chamber wind ensemble. From the Baroque to the Modern, the Mt. SAC Chamber Winds presents a rich, intriguing repertoire of chamber wind music. Their performance is set for Sunday, Nov. 23, at 4 p.m. in the Music Recital Hall at Mt. SAC. Admission is $12 for adults, $9 for seniors, students and children under 12, $6 for Mt. SAC Students with ID. The next regular meeting of the Hacienda Heights Improvement Association takes place at 7 p.m. on Monday, Nov. 17, at the school district’s board room, 15959 E. Gale Ave. in Hacienda Heights. The Los Angeles County Fire Department presents “Living in the Fire Zone” Fire Expo from 11 a.m. to 2 p.m. this Saturday, Nov. 15, at Fire Station 118, 17056 Gale Ave. in the city of Industry. Admission is free. Refreshments will be available. The department has a new “Wildland Fire Protection Initiative” program to be unveiled at the expo. The program is designed to educate the public about decisions and actions that need to be taken by firefighters during a disaster. The expo will provide guidance and direction especially for homeowners who may become trapped and cannot evacuate. Vendors will be on hand to give information, products and demonstrations. Products will include basic emergency supplies, personal protective equipment and portable fire suppression systems. Presentations include Fire Department operations, vegetation management and building standards. If a homeowner decides to stay in the event of a fire, the department wants to be sure it is an informed decision with proper preparation. Representatives from the American Red Cross, California Highway Patrol and L.A. County Animal Care and Control will also be on hand. This band knows jazz! So get ready for a tantalizing taste of what jazz is all about when director Jeff Ellwood and the Mt. SAC Jazz Band take center stage and get down! 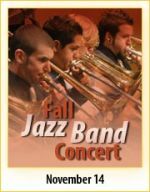 The band will perform Friday, Nov. 14, at 8 p.m. in the Sophia B. Clarke Theater at Mt. SAC. The Hacienda La Puente Unified Board of Education will meet tonight, beginning at 6 p.m. with Employee of the Month Recognitions in the La Puente Conference Room. A closed session follows at 7 p.m.; with the public meeting at 7:30 p.m.
Los Molinos Elementary in Hacienda Heights will hold its Gate Dinner with student presentations in the school cafeteria at 5:30 p.m. Earlier in the day, Fairgrove Academy held a Citizenship Assembly, while students at Temple Academy enjoyed a Harvest Festival.